These days seeing a mom with 9 kids is practically par for the course, but an 80-year-old mother of nine isn't quite as common. This sweet Giant Galapagos Tortoise may be one of nature's oldest new parents! 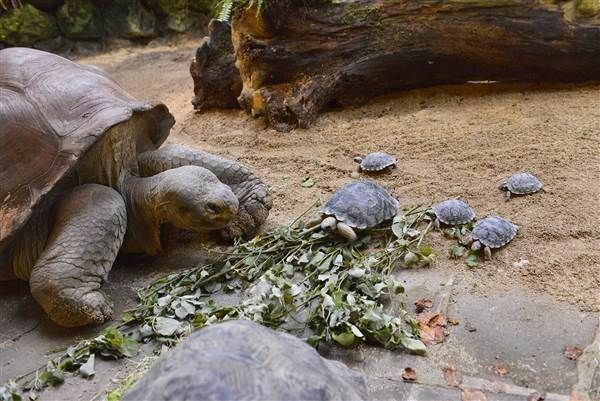 Each of her 9 hatchlings, born in the Zurich Zoo, weighed between 4 and 5 ounces. During her tenure at the zoo, she's laid more than 300 eggs and 91 have hatched. 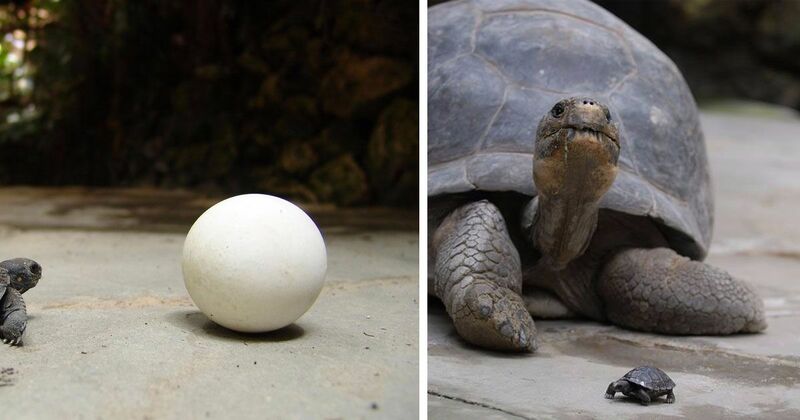 While it may seem odd, a tortoise laying eggs at 80 years old isn't that unusual. Robert Zingg, a curator at the zoo, told reporters that, "Nigrita is our oldest animal at the zoo, but she is probably in her best years to lay eggs," according to NBC News. A Galapagos tortoise can live for up to 150 years, so Nigrita really could be hitting the prime of her reproduction years. At 220 pounds, her tiny babies could grow to be as big as mom or dad. The father tortoise is a 54-year-old who weighs more than 400 pounds! If these babies live to maturity, they'll likely outlive anyone alive today!